The key to success in Orlando’s dog-eat-dog tourism world is to stay fresh and keep growing the product and experience. That appears to be something The Grove Resort & Spa in Winter Garden understands and is working toward as it enters the next phase of construction of the $150 million development and what opportunities still lie ahead. On April 17, the resort debuted its new Surfari Water Park, a $16 million investment that spans seven of the resort’s 106 acres. That area includes water slides, a kids’ splash play area and even Flowrider surf simulators. But the heart of the business lies in its 878 condo hotel units, more than half of which are completed. The shell of the third, and final, phase is completed, but the real work on bringing the units to reality start after the summer, said Kevin Mays, director of development and construction with BTI Partners, the developer of the resort. “The [third phase] structure is built. It’s 293 units, and we we plan to start the buildout in the fall of this year and finish up at the end of summer next year,” he told Orlando Business Journal. Already 585 of the resort’s two- and three-bedroom condo units are available for sale or are occupied. “We have over 300 folks that have purchased and almost 300 that have closed and taken ownership of their residence,” he added. Also, the resort is still looking into the potential for more growth. Specifically, there still is some leftover land that could be used for future development. “We have a 4.5-acre parcel north of us that we are now planning to understand what we think that could be and what the market would receive best there,” Mays said. It appears to be too early to see exactly what that land could be used for, but trends from other similar destinations show that a retail/commercial component could be beneficial. 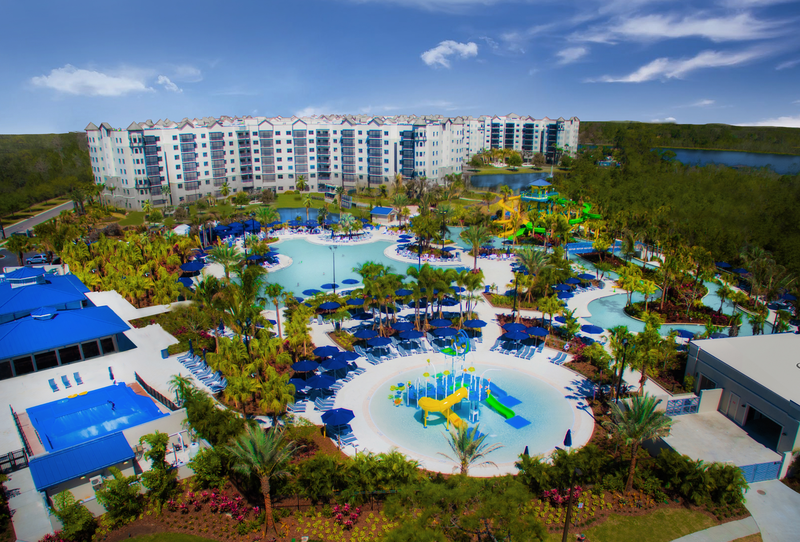 Nearby projects like Disney’s Flamingo Crossings mixed-use development or the under-construction Margaritaville Resort Orlandohave blended hospitality-related uses like hotels and vacations homes with connected retail components. Building those additional amenities can improve the stay for a guest staying in a vacation home or timeshare or another longer-term housing option as they provide a place to shop or get items they may need. There is a niche market of Orlando travelers who prefer to stay in accommodations that have kitchens and multiple bedrooms with gathering space, since it feels more like a home than just another hotel room. Either way, Mays feels The Grove is in a prime location for success as it welcomes more guests and moves into its future.